Welcome to RiverCity Rhodesian Ridgebacks. with a bona fide working lemon grove on our property. 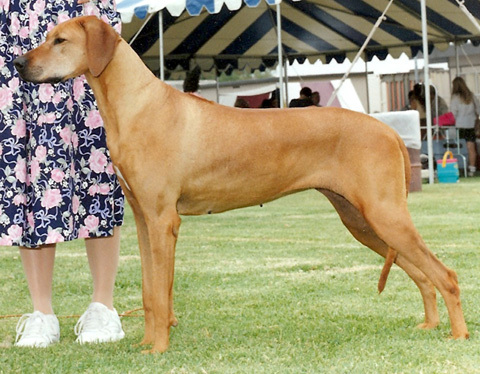 RiverCity Rhodesian Ridgebacks was co-founded in 1984 by Troy Abney and her mother Sandra. After owning two Rhodesian Ridgebacks as a young girl, Troy became hooked on the breed and began showing them at the young age of 8 years old. Troy has continued to show and breed top quality Ridgebacks ever since. We are members of the Rhodesian Ridgeback Club of the United States (RRCUS) and the Orange Coast Rhodesian Ridgeback Club (OCRRC).We breed only to and from AKC Registered and AKC Champion Rhodesian Ridgebacks who have passed all their health tests. 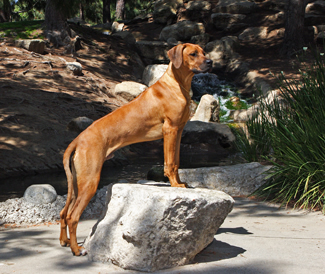 Our goal is to produce top quality Rhodesian Ridgebacks who possess sound health, temperament and structure. Maintained by Grove Computing, Ltd.